Friday: 7:00 a.m.- 10:00 p.m.
Saturday: 10:00 a.m. to 10:00 p.m.
Monday-Friday: 7:30 a.m. to 6:00 p.m. In order to help accommodate the expected increase in bike commuter traffic due to the classes being offered at Harbor Walk, Sustainability will be expanding the Bike Share program this fall. Currently, the bike share program has 8 3G Isla Vista Beach Cruisers. The total number of bicycles in the fleet will be increased to 16. Before moving forward with the expansion, Sustainability had to address a major need – where would the additional bikes be stored? 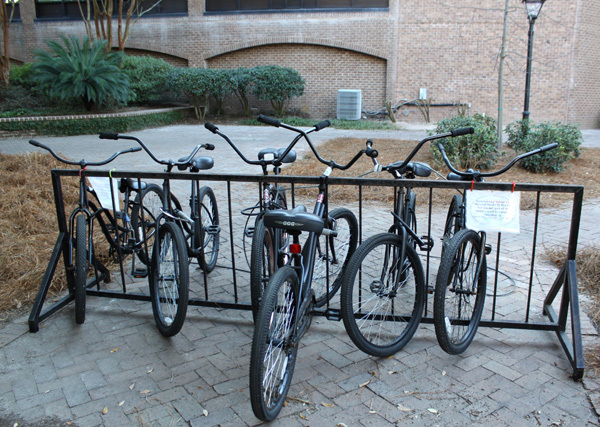 All 8 of the existing bicycles are kept locked up to a bike rack outside of the Stern Center. 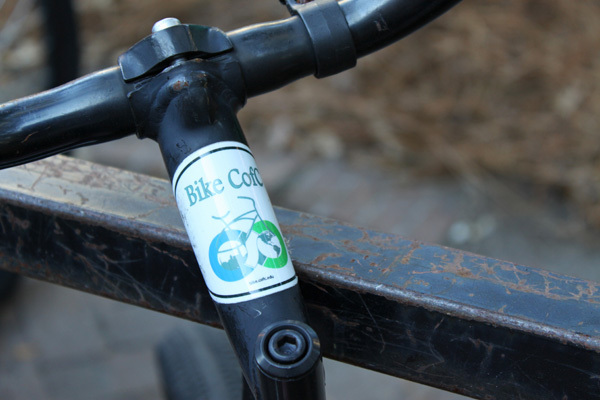 As of now, Sustainability is looking to acquire additional bike racks outside of Stern so that the program doesn’t limit the availability of bike rack space for students, faculty, and staff members. Currently, all 16 bikes are ready to go for the fall 2014 semester. For more information about the Bike Share program, visit sustainability.cofc.edu. For more information about Harbor Walk, visit go.cofc.edu/harborwalk.